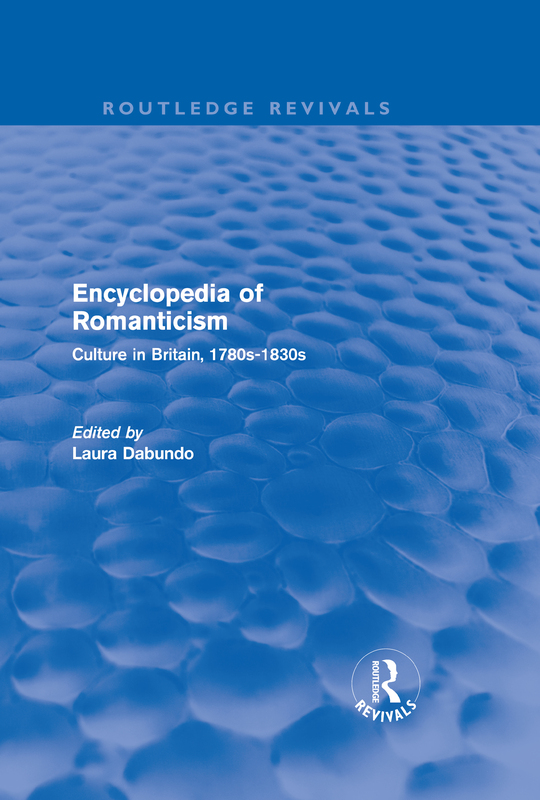 First Published in 1992, this encyclopedia is designed to survey the social, cultural and intellectual climate of English Romanticism from approximately the 1780s and the French Revolution to the 1830s and the Reform Bill. Focussing on ‘the spirit of the age’, the book deals with the aesthetic, scientific, socioeconomic – indeed the human – environment in which the Romantics flourished. The books considers poets, playwrights and novelists; critics, editors and booksellers; painters, patrons and architects; as well as ideas, trends, fads, and conventions, the familiar and the newly discovered. The book will be of use for everyone from undergraduate English students, through to thesis-driven graduate students to teaching faculty and scholars.